As a car insurance broker, we receive all kinds of questions about Ontario Driver's Licences. Some are simple and others more complicated. They range from questions about driver education, to our system of graduated licencing, to switching a licence from another province. So we’ve taken the Top 15 Questions our customers ask us about Ontario Driver's Licences with brief answers. There are additional links for those who want to get more details. We hope you find this list of questions and answers helpful. Just click on the question below to go the the answer. 1. I just moved to Ontario, how do I get (switch or exchange my licence for) an Ontario driver's licence? In Ontario, you can legally drive with an out-of-province licence for up to 60 days. After 60 days, you will have to apply for or exchange your existing driver's licence for an Ontario licence. If you have a full, valid licence from another Canadian province or territory, you can exchange your driver's licence for an Ontario licence. Just go to a DriveTest Centre near you . If you have a valid driver's licence from another country, you need to find out if your country has a licence exchange agreement with Ontario. You can find out from this list of eligible countries . You can exchange your driver's licence if your country is on this list. The exchange process is the same as if you’re from a Canadian province. Some conditions apply to drivers who do not have a full driver's licence or are in a learning program. Find out more information for drivers who don't have full licence and are moving to Ontario . 2. How do I change my Ontario address? Can I do it online? You can change your driver's licence address in-person or online. 3. How do I get (apply for) my driver's licence? Before you drive you have to take a written and a vision test. You will want to pick up a Drivers Handbook to begin to learn the rules of the road. You will also have to pay licencing and test fees. Bring the right identity documents to prove your age, your legal name and where you were born. You don’t want to have to go back for a second time. Here’s the list of what is acceptable ID . If you are a new driver and have never had a licence before, you can find out more about applying for your driver's licence here . 4. What is Ontario Graduated driver's licencing and what is the difference in the various G class licences? Ontario Graduated Driver's Licencing is a 2-step process for new and young drivers. The goal is to give new drivers practice and experience over a 20-month period – this length of time is the minimum it will take for a driver to pass through the graduated licencing system. Can't drive on 400 series highways. 5. What is an Enhanced Driver's Licence? An Enhanced Driver's Licence is a driver's licence that can also be used as a travel document for proof of identity and citizenship between Canada and the United States. It can only be used for land or water travel and is not permitted for air travel. 6. What are the various Ontario driver's licence classifications? Class M is for motorcycles and other limited speed motorcylces like scooters and mopeds. There are M1 and M2 classes that must be graduated from before a rider can get a full M class license. There are many classes for commercial licences such as Class A for tractor trailers or Class B for school buses. You can learn more about all the Ontario licence classifactions at the MTO website. Read about each classification on the Ministry of Transportation’s website. 8. What is the Senior G Driver's Licence Renewal program? The Senior G Driver's Licence Renewal Program is an Ontario driving program for seniors 80 years and over to renew their driver's licence every two years. The Ontario government’s website provides comprehensive information about how to renew a licence, about the vision test and in-class screening. 9. What should I do if my driver’s licence was lost, stolen or damaged? If you are in Ontario at the time you lose your driver's licence, go to your nearest Service Ontario for a replacement. Remember to bring personal ID to confirm your name, date of birth and your signature (a passport works well). You’ll be given a temporary driver's licence. You’ll receive your permanent driver's licence with your photo in 4-6 weeks. 10. How do I get information or reports about my driver's licence and driving history? There are a few different types of documents or records a driver can order from Service Ontario that have past driver and license information. So it's important to understand which document is needed prior to ordering it. Be sure to confirm which specific document is needed for your purpose. A Driver's Licence History record is one of the most common document needed by drivers for reasons such as employment or insurance. It provides information on a driver's current and past driving history. It includes information about the driver (name, height, weight, etc. ), present and previous addresses, dates of renewals and class changes (G1, G2 and G), beginner driver education course completion date and a few other things. The Driver's Licence History report is commonly used by new or young drivers to show proof of completion of a certified beginner driver education course. This report can be obtained online from Service Ontario. 11. My driver's licence is suspended, how do I get it reinstated? 12. My driver's licence is expired how do I renew it? 13. Why should you do a Beginners Driver Education course and where is a list of MTO approved courses? Become A Better And Safer Driver - Driver education helps you build your skills and knowledge with a driving instructor – both in-class and in-car. Get Discounts On Car Insurance - When you take drivers education with a certified school, you will receive discounts on your car insurance. 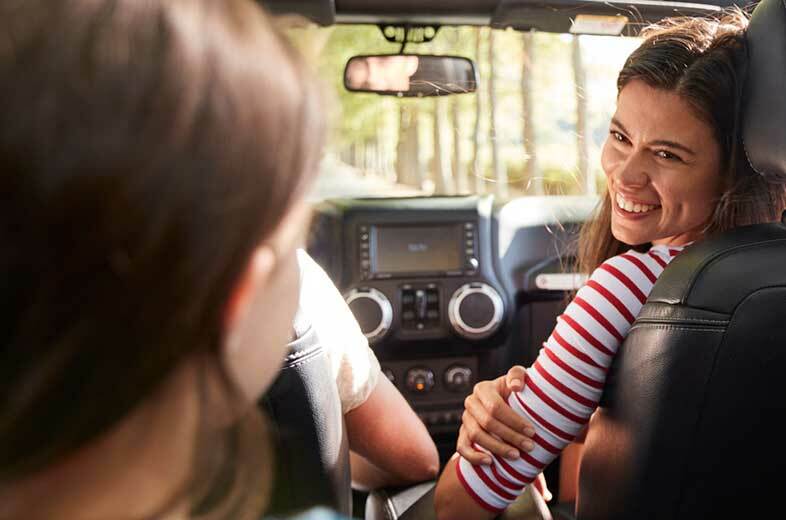 Get Your G Licence Quicker - Completing a driver education program means you move more quickly through the graduated licencing system (you can take your G1 driving test after 8 months). 14. What is a Road Test and how do I schedule one? A road test is an in-vehicle driving test to ensure that a driver has the required skills to safely drive the type of vehicle for the class of licence they are trying to obtain - G class, M class or a commercial class. Level one tests a driver to ensure that they have the basic skills and knowledge to drive safely on regular streets and roads (not 400 series highways or expressways). This includes basic driving manueuvres such as starting, stopping, turning, parking, changing lanes, etc. When a driver passes the level one road test they graduate to the next licence level - G2 or M2. Learn more about the Level One road test. 15. What should I do if I fail my road test? When you finish your road test, your examiner will give you a full report on your driving. If you fail your road test, you will have to wait a minimum of 10 days before you can take the test again. Carefully read the examiner's report so you can fix the driving errors the examiner identified during your test and work on improving those driving skills before you book another test. We hope you’ve found the answers to our Top 15 Ontario Driver's Licence Questions article helpful. For more information, please visit the Ministry of Transportation’s website.